After 'Miracle of Milan', could Zlatan return? 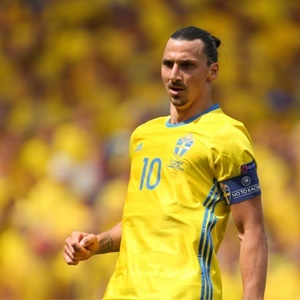 Stockholm - After Sweden's "Miracle of Milan" booked them a berth at the World Cup finals and sent Italy crashing out, could Zlatan Ibrahimovic be set for a return from international retirement? The Manchester United striker, who retired from the national team in 2016, was among the crowd in the San Siro to cheer on his former Sweden team-mates. Newspaper Dagens Nyheter could hardly believe the result either, calling it "surreal".